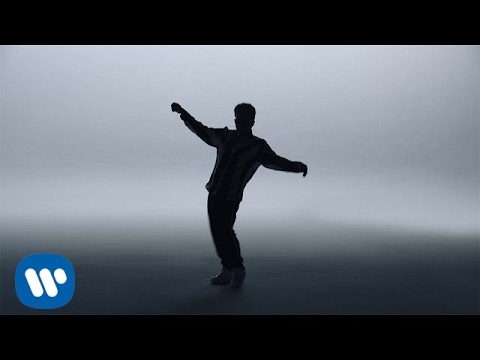 Bruno Mars unveils the electric video for his latest single “That’s What I Like” off his third studio album 24K Magic. Co-directed by Bruno Mars and Jonathan Lia of Good Company, the pair took a decidedly ‘less is more’ approach to crafting the video, letting the innate charisma of Bruno Mars command the screen from start to finish. A simple grey background serves as the backdrop for Bruno’s legendary showmanship to shine, as he sings soulfully while nailing slick footwork choreographed by Phil Tayag and Bruno himself. The camera remains fixed for most of the clip, while a procession of hand-drawn animations relating to the lyrics pop in and out of the frame. The white flourishes add a fun and playful element to the live action footage, as Bruno seamlessly incorporates the objects and scenes into his moves. The subtly glitchy flow of Bruno’s dancing meshes beautifully with the push and pull of the beat. To achieve the effect, Jonathan Lia filmed Bruno performing to the audio track played at half its normal speed; later, he sped up the footage 200% faster so that the synced playback would have a slightly surreal feel to it. This meant a single take was nearly eight minutes long – a testament to Bruno’s incredible endurance. The literal approach to the choreography allowed Lia and Mars to map out a few of the animations prior to filming, however purposely left some frames unplanned to see what would best support the visuals in post. The team at GenPop in Los Angeles expertly handled the scope of animation work. Jonathan Lia has had a prolific career as a producer, director and collaborator, working alongside artists such as Beyoncé, Kendrick Lamar, Kanye West, Madonna, A$AP Rocky and many more. He’s also directed numerous beauty campaigns for major brands such as L’Oreal and Revlon.